Bright Club on 3rd December is sold out! If you missed out this time, why not sign up to our mailing list, and we'll let you know as soon as tickets go on sale for our future shows. 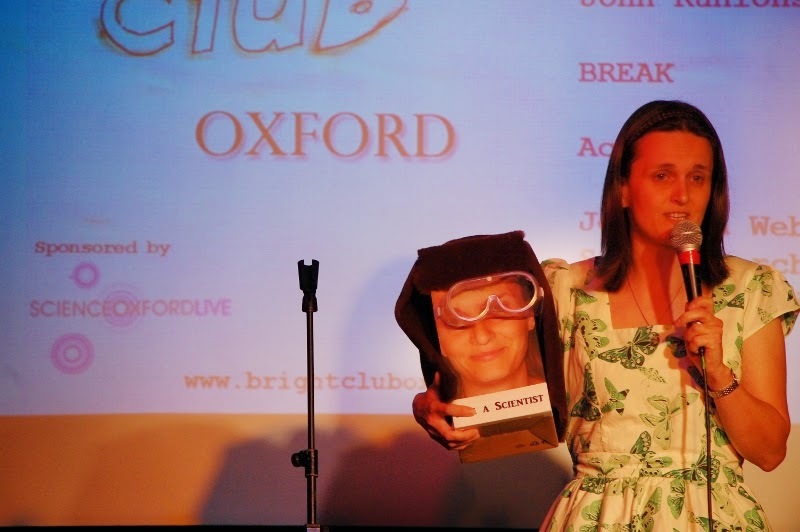 Just drop us an e-mail to brightcluboxford@gmail.com. Ho ho ho! It's a Christmas Bright Club! Sign up for October Bright Club! 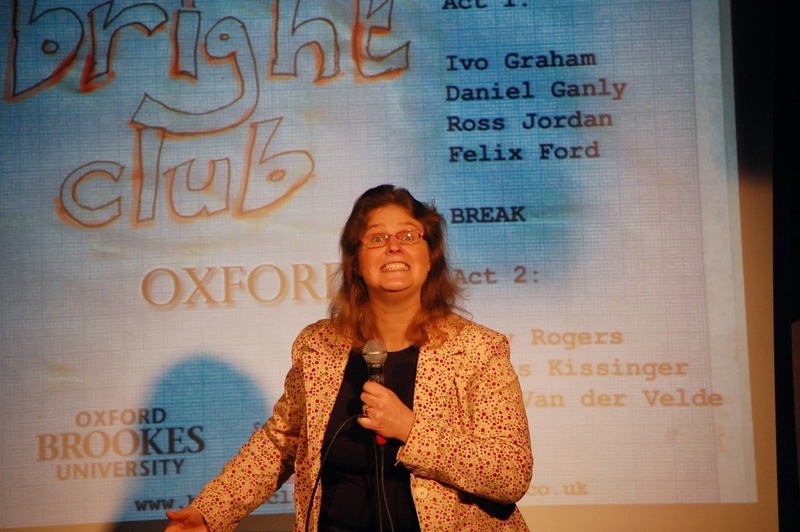 Can you turn your work into a short stand-up comedy set? 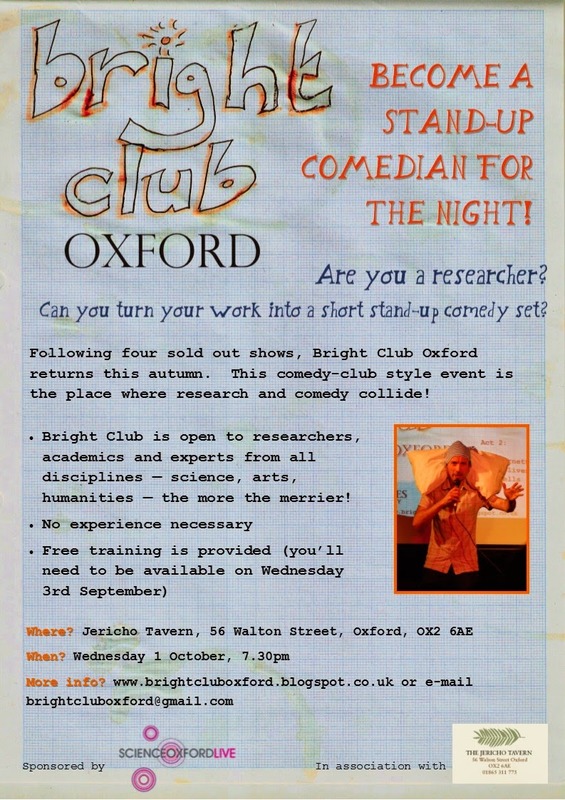 Register for our next Bright Club in October! 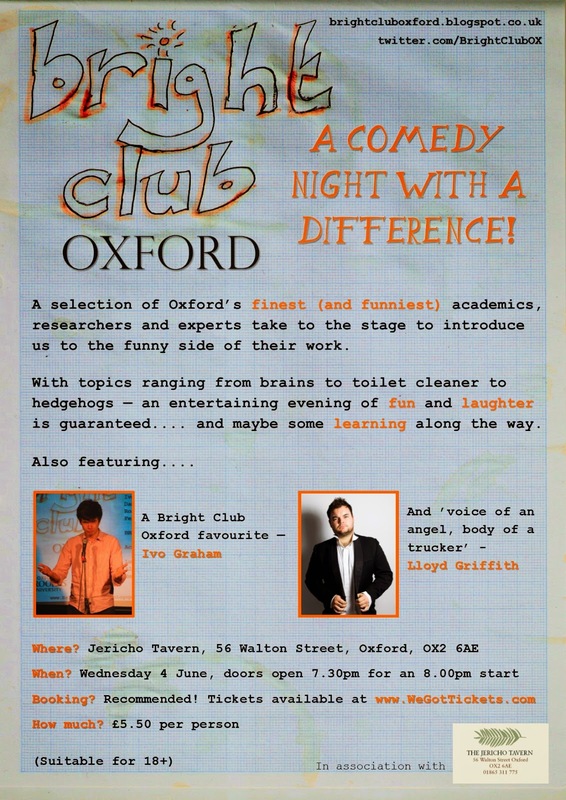 For more details, e-mail us at brightcluboxford@gmail.com. 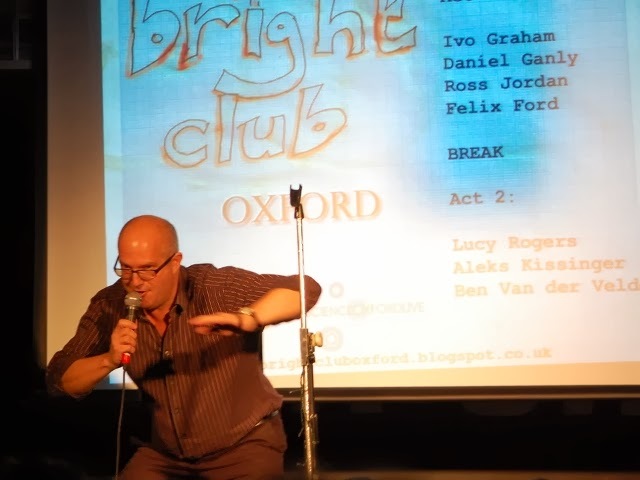 And they will be joined by our compere for the evening - Ivo Graham! Holding it all together is our compere for the evening - Ben Van der Velde. 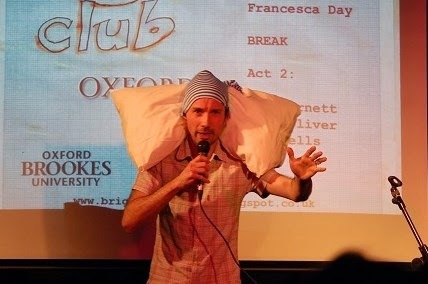 Ben was our headline act back in November, and we enjoyed his set so much, we've invited him back. 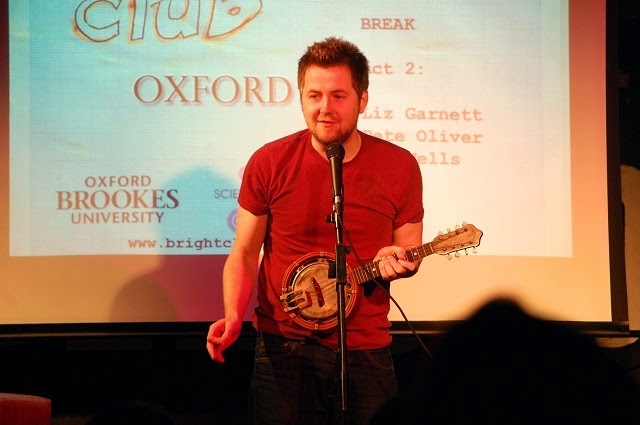 And they will all be joined by our our headline act - Joe Wells. Tickets are now on sale. 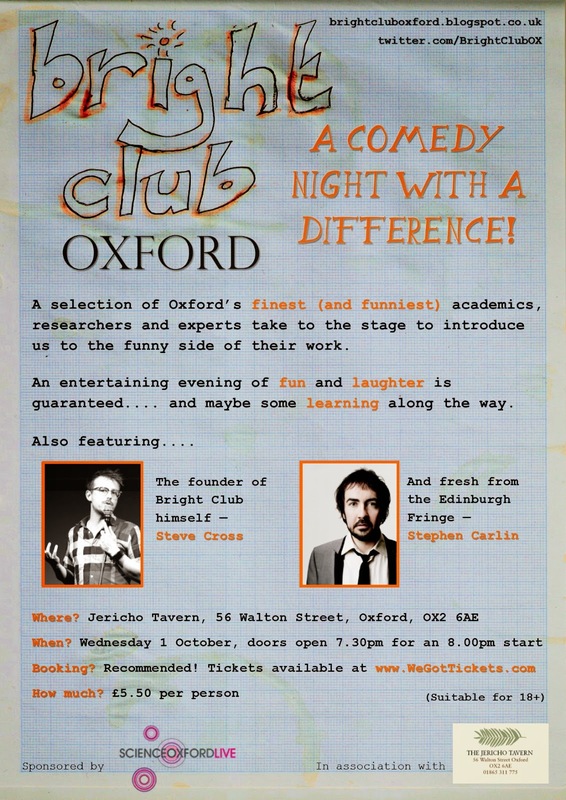 Book online at www.scienceoxford.com/live/whats-on. 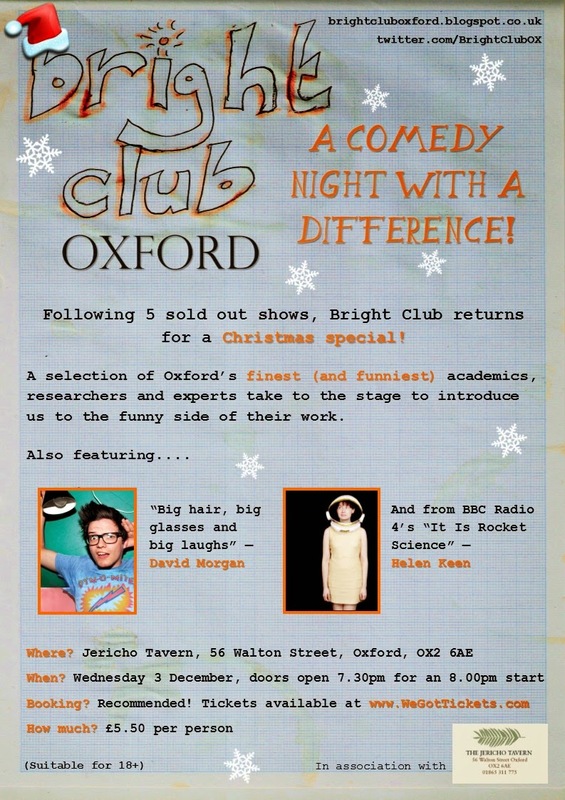 Following a sold out inaugural show in Oxford in November 2013, Bright Club Oxford returns in 2014! 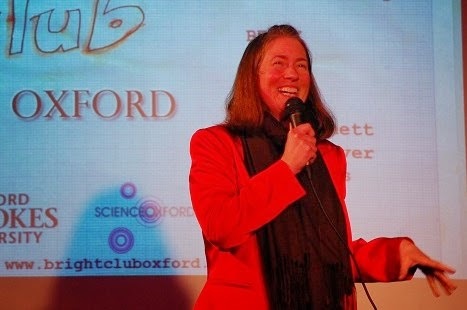 Open local researchers and experts from all disciplines - science, arts, humanities - the more the merrier! 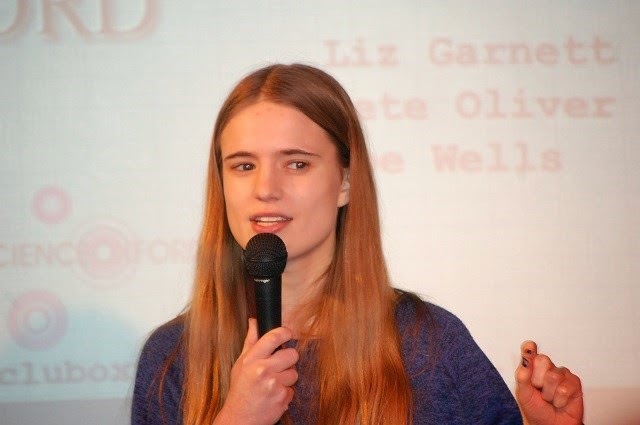 • Free training is provided (you’ll need to be available on Wednesday 12th February in the evening) - learn tips on how to make your lectures and presentations more engaging, in a fun and friendly environment!